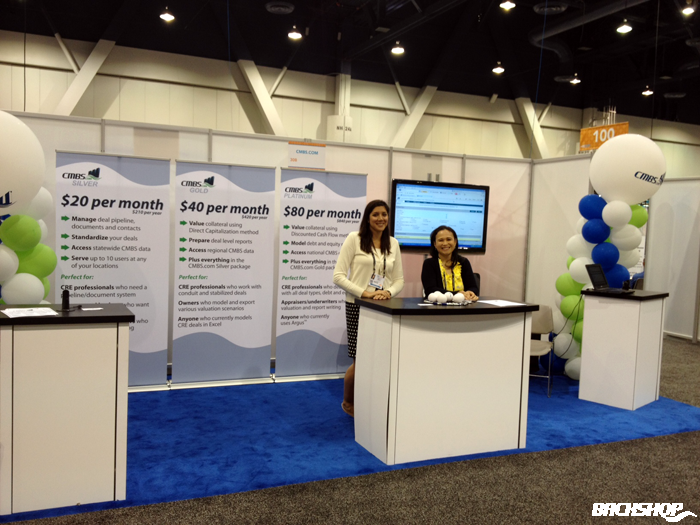 The launch of CMBS.com Pro has been going well. Our new commercial real estate deal management tool, which includes CMBS data, was very well received at the ICSC conference in Las Vegas. We had several people sign up on the spot, and one property owner from the Midwest stated we were his favorite product at the show. The attendance was massive at the show but the Marketplace Mall (where we were) did not get the same traffic as the Leasing Mall. Maybe next year we will change locations. Nonetheless, it was a great venue to launch the new product. Check out the CMBS.com Pro software tour. Early next week I am off to Washington, DC to attend the CREFC conference. This is the annual conference for the CMBS industry, and this year’s should prove interesting. After a strong start for CMBS in 2012, the last several weeks have seen a major change in the bond markets with the 10-year treasury reaching yields as low as they have ever been. Investors are reducing risk, and this has resulted in spread widening and volatility for CMBS. There is some talk that 2012 might be shaping up like 2011 where we had a strong first half but a bad second half. The conference is timely. I’ll report back on what the pros are predicting. The second half of next week brings me back to Las Vegas for the Realcomm trade show. This trade show focuses on the “intersection of technology, innovation and real estate operations.” We have a booth there and will continue spreading the word about both our CMBS.com Pro product and our Backshop enterprise product. The creator of the Backshop mortgage-origination platform has developed an online transaction management software package that’s specifically targeted for small property investors and borrowers. The product, CMBS.com Pro, ties Backshop Inc.’s core mortgage-underwriting tool, Backshop, to a number of underwriting models. It’s priced starting at $20/month, or $240/year, making it perhaps the least expensive software package of its kind in the commercial real estate sector. “We are excited to bring CMBS.com Pro to the commercial real estate community at large,” explained Jim Flaherty, chief executive of Backshop, which is headquartered in Sausalito, Calif. He explained that Backshop, the core mortgage underwriting and deal management software that serves as the backbone of CMBS.com Pro, is used by some 20 large mortgage originators. So it’s been tested and fine-tuned over the years. 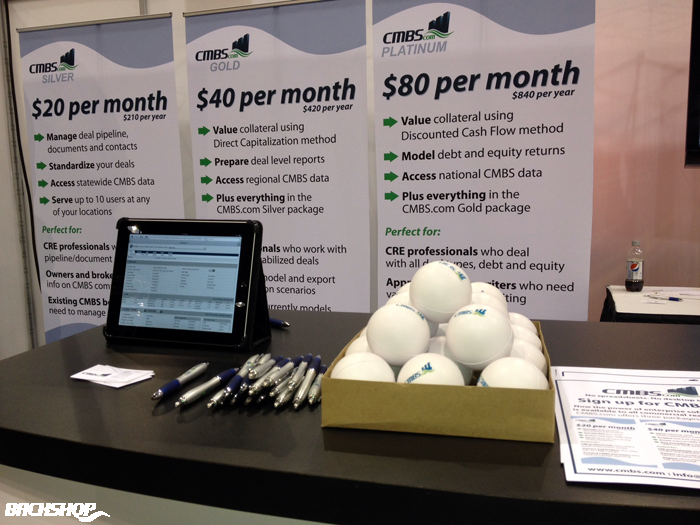 The CMBS.com Pro product ties that capability with access to the core CMBS library of collateral information and a series of proprietary modeling tools. The $20/month price tag gives a user the access to the pipeline-management tool and access to the CMBS library in one state. So a property owner, for instance, can better gauge what terms securitized lenders are providing in a given market. For access to CMBS data in a given region, as well as a direct capitalization valuation model and the ability to use the system’s online reporting tools, the price tag climbs $40/month, or $480/year. A regional investor can use that information, for instance, to compare the performance of a property or properties against those securing in the CMBS universe. And for $80/month, a user would have access to the entire CMBS library, a discounted cash flow modeling tool, and models that determine debt and equity returns. That version of CMBS.com Pro is targeted primarily to users who now rely on Argus Software, a widely used real estate valuation and management software package. Backshop is one of only four vendors that are certified to receive CMBS deal updates from trustees. The others are Trepp LLC, Bloomberg and Intex. It got its access to those updates through its 2006 acquisition from Standard & Poor’s of what had served as the backbone for Charter Research. While each packages the data with their own sophisticated modeling and analytical tools, the prices they charge are often too high for small investors, or investors interested in only specific geographic areas to swallow. Bloomberg packages its CMBS product into its terminals, which themselves are pricey. “We’re not really competing against (the other CMBS data vendors), and we’re not a research business,” Flaherty said. “We’re a modeling and technology company.” In that vein, CMBS.com Pro is going up against Argus, which is said to count more than 30,000 users. Backshop, in effect, is leveling the information playing field for small investors who now can have access to similar modeling tools and data used by deeper-pocketed players. “We’re proud to offer commercial real estate players of all types and sizes the same power used by the big guys at never-before-seen pricing,” Flaherty said. He added that investors who rely on excel-based models or Argus to model investments or deals would be prime candidates for CMBS.com Pro. “We want existing CMBS borrowers to come into our system, find their deals and do investor reporting,” Flaherty said. All the reports generated by the system abide by the CMBS industry’s Investor Reporting Package format.